I have an accountability partner Kris, we were in the same master mind a while ago and hit it off. Whilst in said mastermind we would often find ourselves just messing around on a Friday afternoon, I would make stupid posters and memes for no other reason that to have a laugh. What we found was by the end of the week it was time to wind down for the weekend but since we both work for ourselves, at home it's kinda hard to goof off - Facebook it is then! After some time we coined the phrase Dicking Around On A Friday Arvo or #DAOAFA which basically covers everything that isn't 'proper work'. What did happen was that I found I was getting super creative, coming up with new ideas - jotting them down, there would be a fair amount of banter and generally it was FUN. 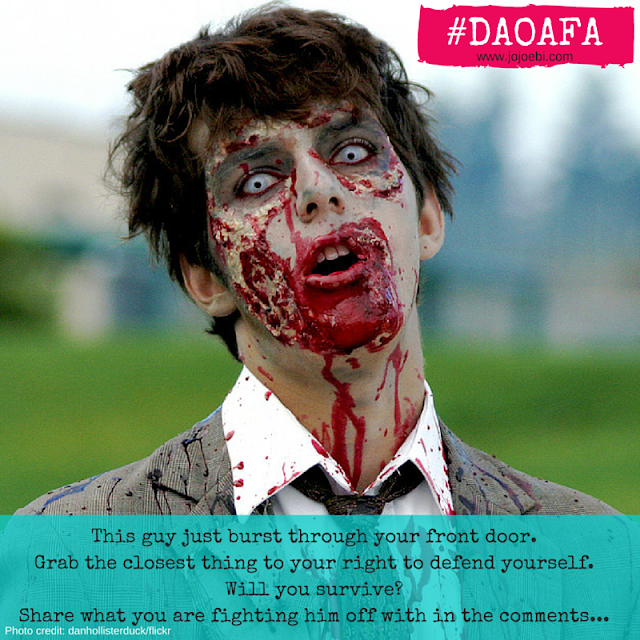 We kept talking about making #DAOAFA a 'thing' so this is that thing, put out there in public, maybe it will go somewhere or maybe it will fizzle out. It doesn't really matter, there is no pressure, it's just for fun.